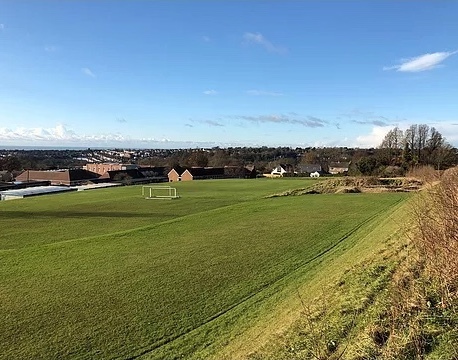 Varndean College plans to sell off some of its land which is currently designated as a nature reserve to build just 10 houses. An outline planning application has been submitted to Brighton and Hove Council. This application is for outline planning permission. The full application may be far more intrusive and destructive. The proposal sets a dangerous precedent for more development on the Varndean campus and elsewhere. Any green space in Brighton and Hove will be at risk. Plans are also confirmed for a full size, net covered all- weather sports pitch on the campus near Surrenden Crescent. A new road will be built behind and crossing the footpath, destroying the hedgerow, creating even more traffic and congestion with major safety risks for pedestrians, cyclists and motorists and ruining the view. A biodiversity reserve will be destroyed. Developed in 2010 with the support of the Council and Butterfly Conservation, the reserve is home to colonies of legally protected butterflies like the Small Blue. The proposed modern houses are not in keeping with the the local area. The view of the housing from the road will be of the garages and a semi-basement frontage. They will be very unattractive, block the view over Brighton and overlook the sports field, risking the privacy of our young students. Click here for links to comment on the applications. This entry was posted in Communications, Community, Environment, Planning and tagged Brighton and Hove City Council, Varndean on 29/04/2018 by srraadmin.